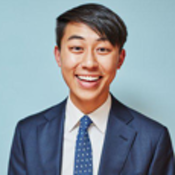 Aaron Guo is a student in the Jerome Fisher Program in Management & Technology at the University of Pennsylvania, studying Systems Science Engineering, Finance, and Strategic Management through SEAS and the Wharton School. Aaron has been named a finalist for his work in Dodge & Cox and Seeking Alpha pitch competitions. In his free time, Aaron enjoys photography and exploring restaurants in Philadelphia. He can be reached at aaronguo@wharton.upenn.edu.